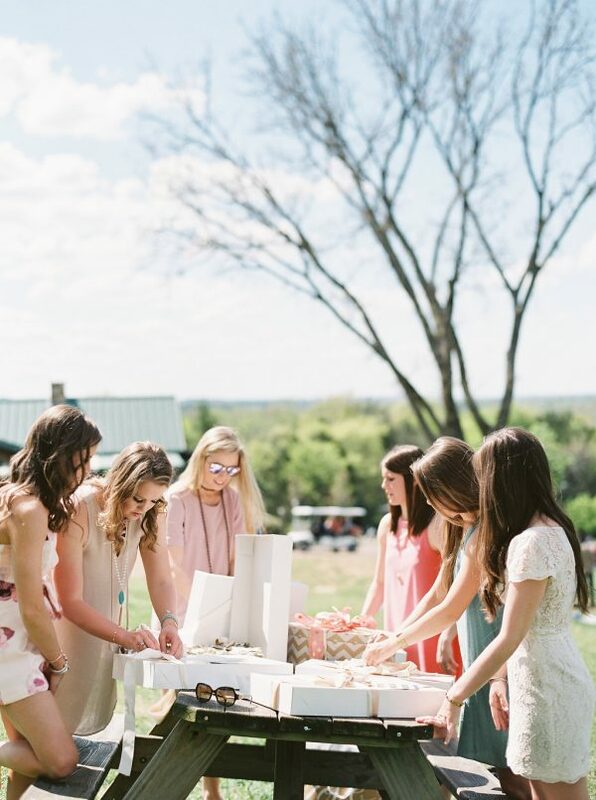 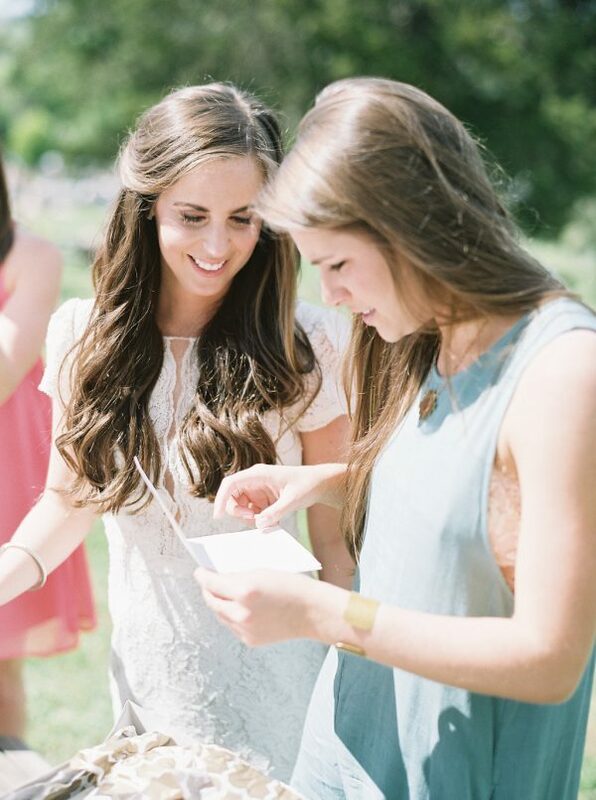 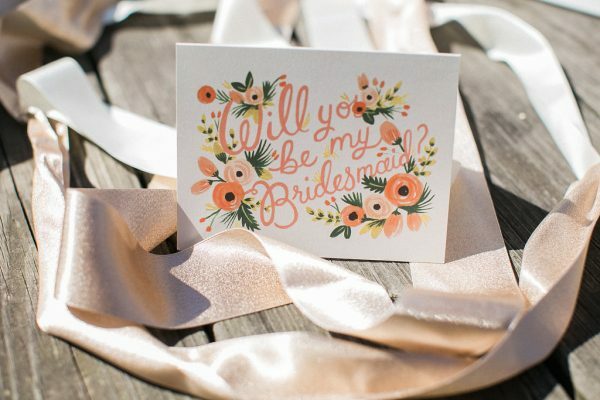 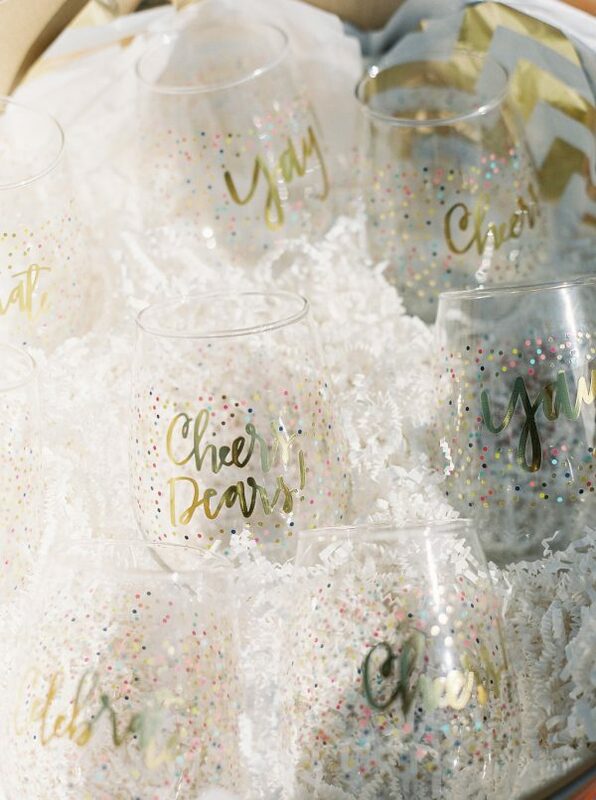 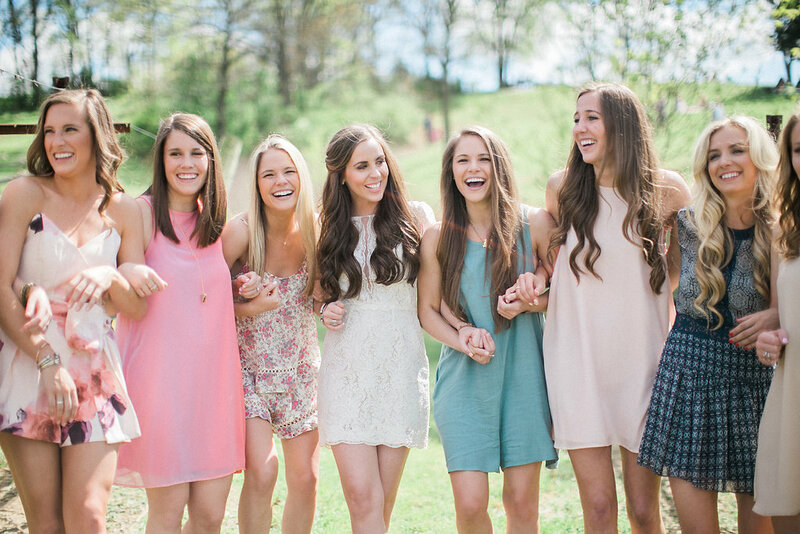 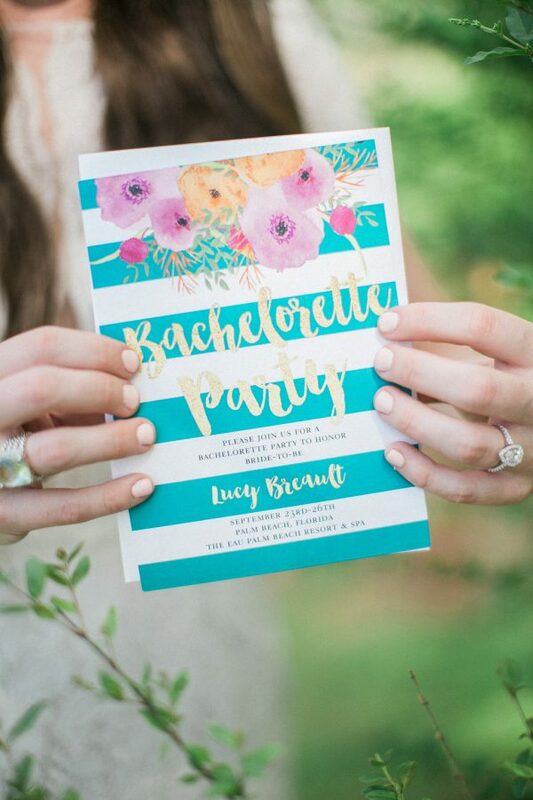 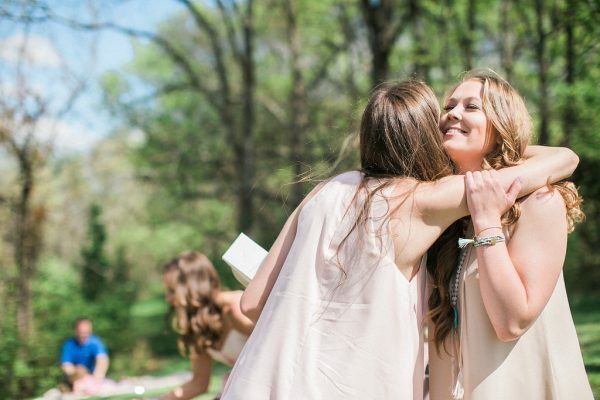 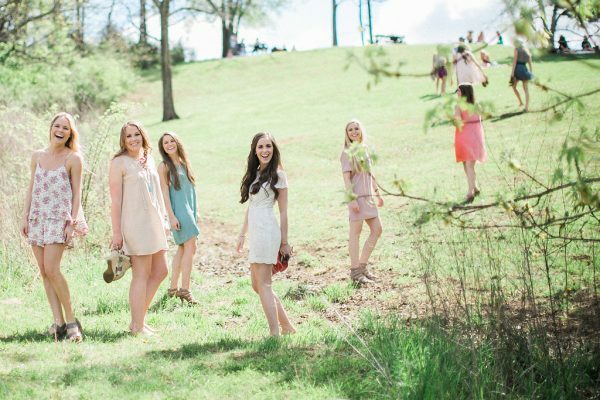 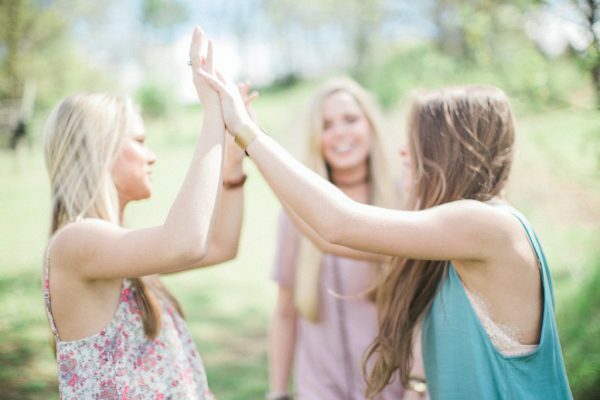 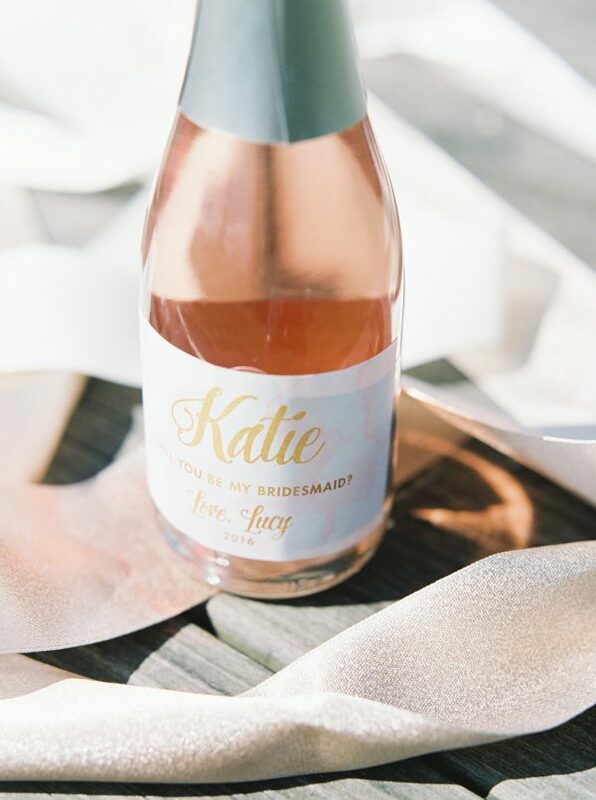 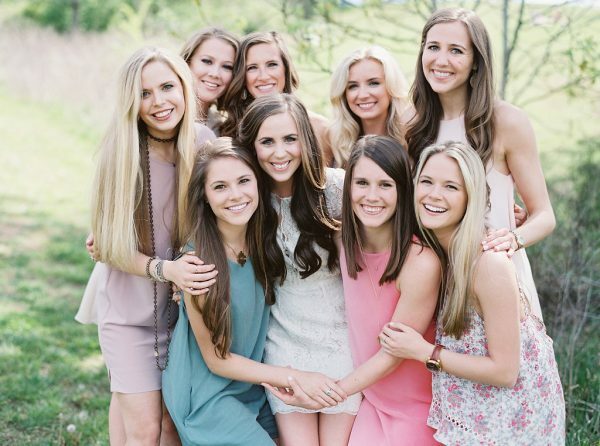 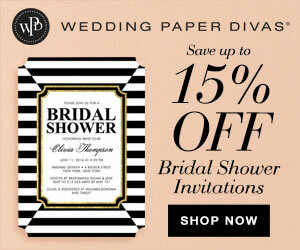 If you’ve been wondering how to ask your besties if they’ll be your bridesmaids, take some inspiration from this outdoor bridal shower. 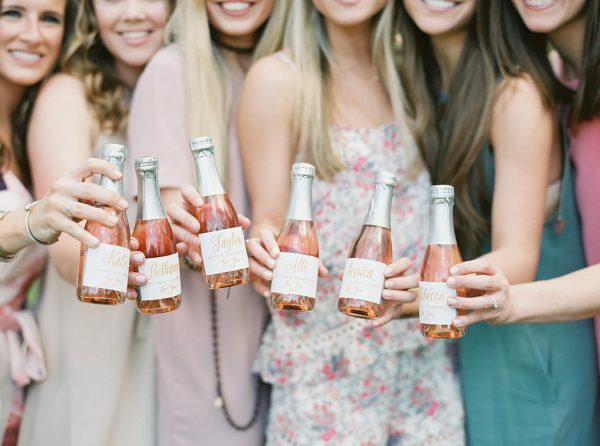 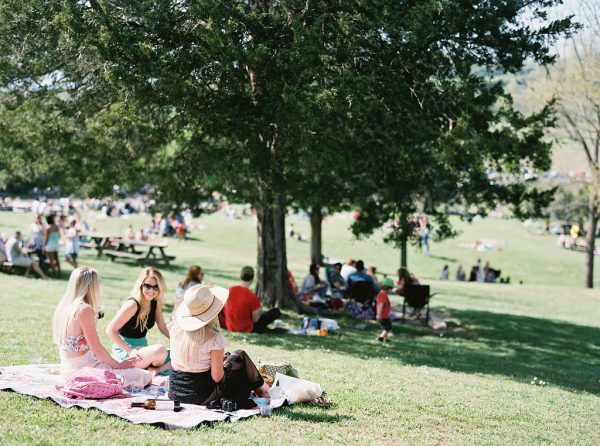 Lucy gathered her girls at Arrington Vineyards in Nashville, TN for a picnic and the opportunity to ask, “Will you be my bridesmaid?” She did it in true style by gifting each girl with monogrammed bottles of rose, a floral robe, wooden hanger, nail polish, lip gloss, and a handwritten note. 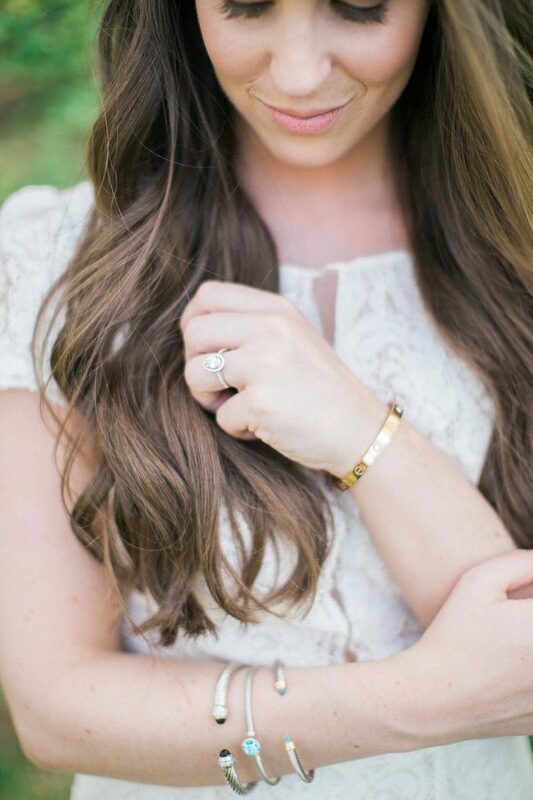 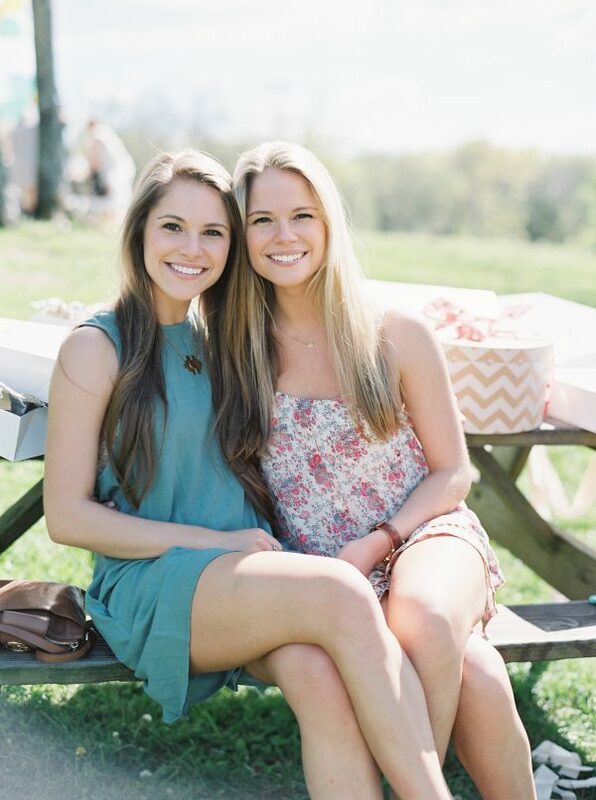 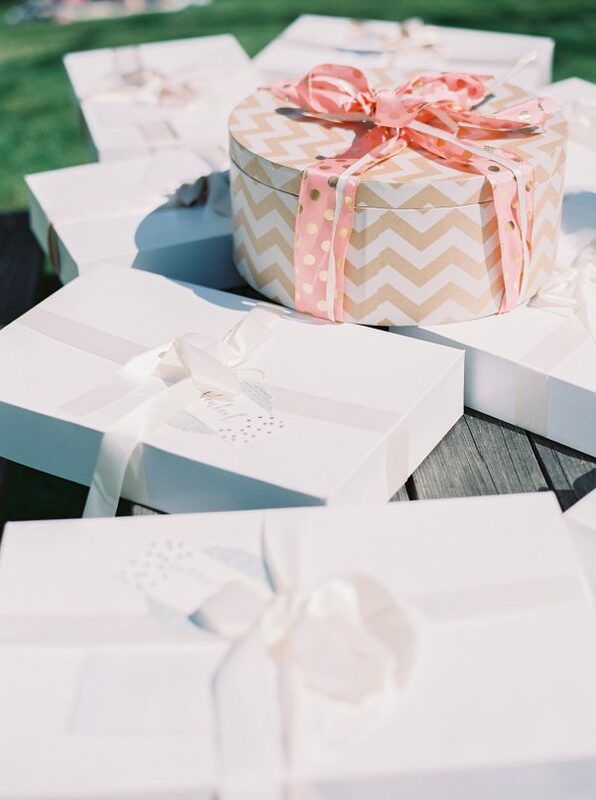 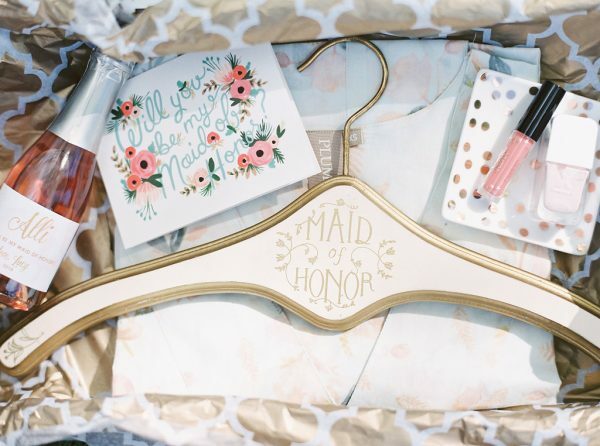 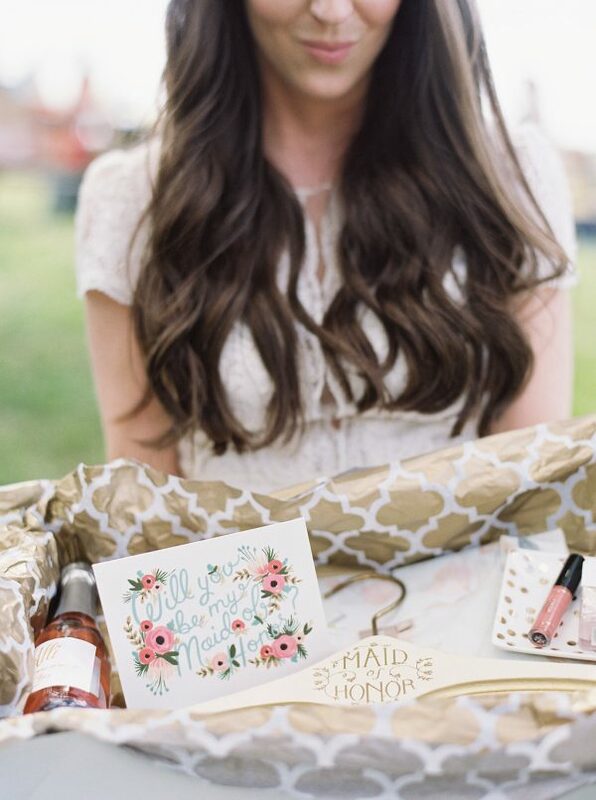 A picnic table was filled with presents and the girls sipped wine while the bride-to-be opened her shower gifts. 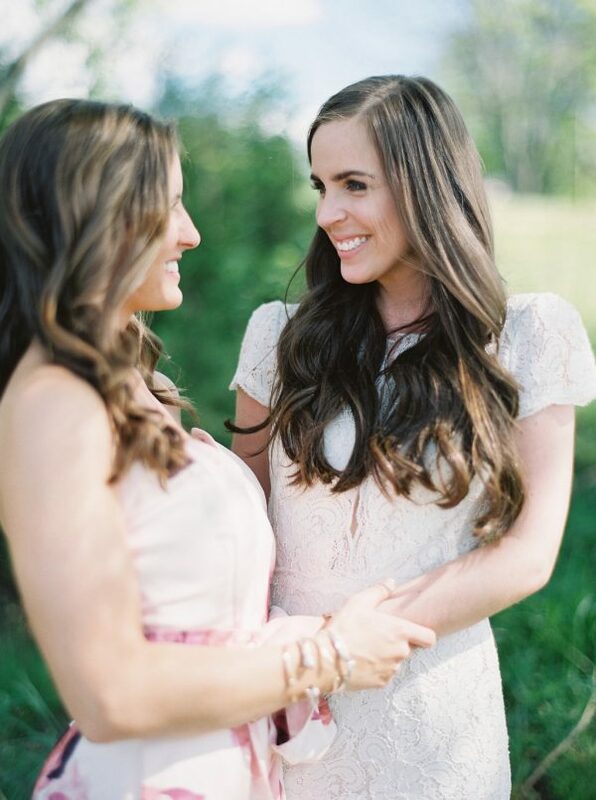 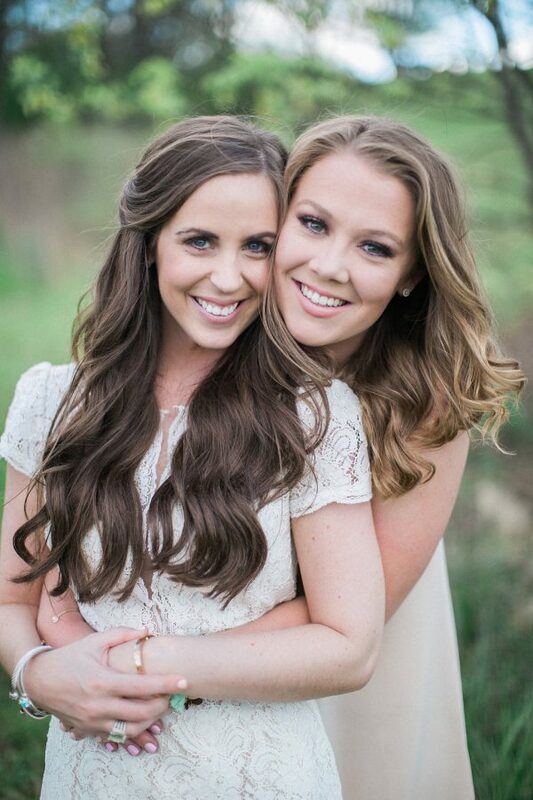 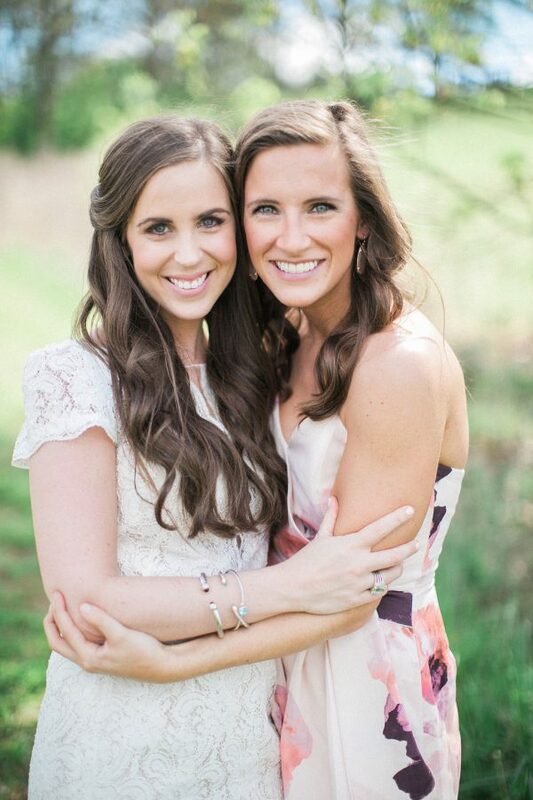 Many thanks to EB Photography + Artistry for sharing these inspiring photos with us.